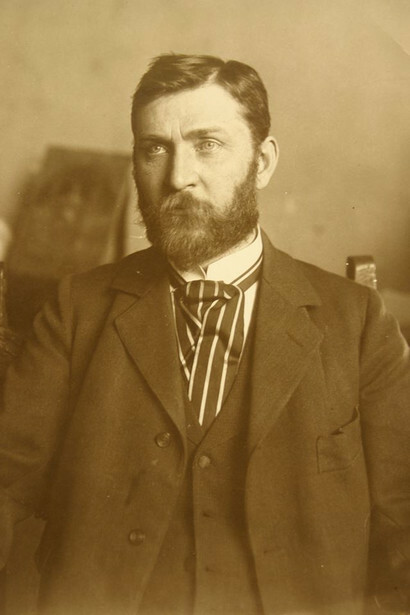 In 1886, Professor Karl Rothmüller laid the foundation for a goldsmith and jewelry dynasty that survives to this day, and which has always been closely tied to the traditions of Munich and Bavaria. 1886 marked the founding of thegoldsmith workshop in Munich at Karlstrasse number 42 by Professor Rothmüller. 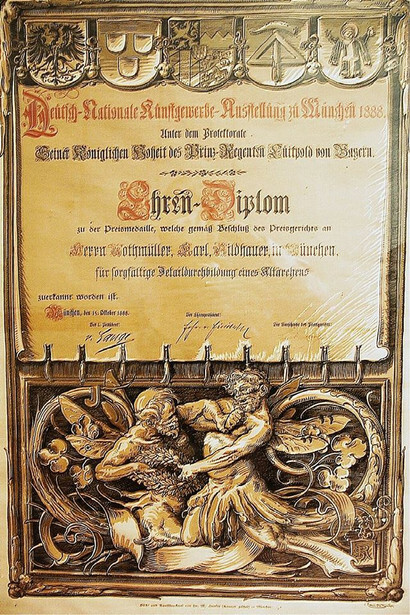 1891 Honorary award from the Grand Duchess of Baden. 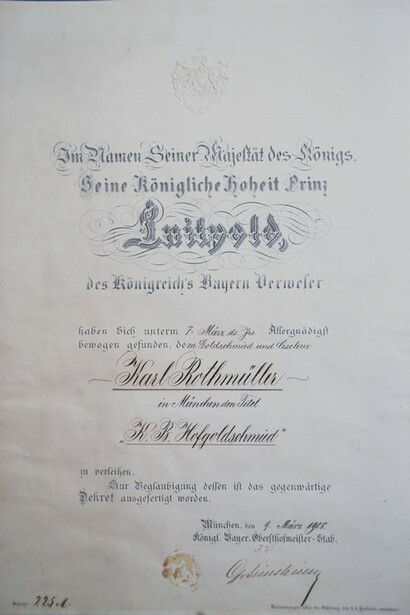 1891 Development of the Bavarian Artisans’ Association honorary gift upon the occasion of the 70th birthday of His Royal Highness Prince Regent Luitpold of Bavaria. 1900 World’s Fair exhibition in Paris, awarded the silver and bronze medallions. 1912 Made a member of the Prince Regent’s foundation for the elevation of the arts and crafts industry. 1920 Through the encouragement of Professor Karl Rothmüller the Danner Arts and Crafts Foundation was founded. 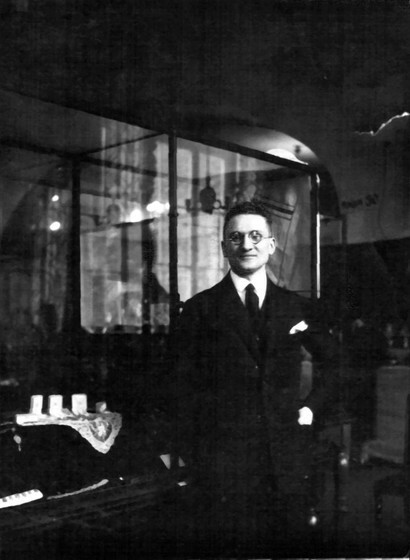 1922 Karl Rothmüller participated in the German trade show, was the most well-known of Fritz von Miller´s pupils. 1925 Awarded the title “Professor of Visual Arts” by the Bavarian Ministry of Culture. 1927 Opening of a branch in the Regina Palace Hotel. 1943 Destruction of the workshops and home of the Rothmüller family at Müllerstrasse number 44, as well as of the branch located in the Regina Palace Hotel. 1950 Founding of a jewelry shop at Perusastrasse number 3. 1979 Karl Rothmüller, master goldsmith, gemologist, diamond expert and his wife Monika, the designer and business administrator, began leading the P. Rath company together located at Theatinerstrasse number 36. 2010 After his training as a goldsmith, gemologist and diamond expert, Karl Rothmüller (5th generation) joined the P. Rath company. Since then, his personal “signature” style has been evident in all of our jewelry. 2016 Karl Rothmüller joined the Board of Directors of the Danner Foundation and thus leads the 100-year-old tradition of actively supporting and promoting craftsmanship work in Bavaria. The Danner Foundation was founded in 1920 by Therese Danner (1861-1934) upon the suggestion of Royal Bavarian Master Goldsmith Professor Karl Rothmüller. Their priority was a mutual desire for “reliable, well-established craftsmanship” in Bavaria to be maintained and for younger generations of craftsmen to be nurtured. marked the founding of thegoldsmith workshop in Munich at Karlstrasse number 42 by Professor Rothmüller. Opening of a branch in the Regina Palace Hotel. 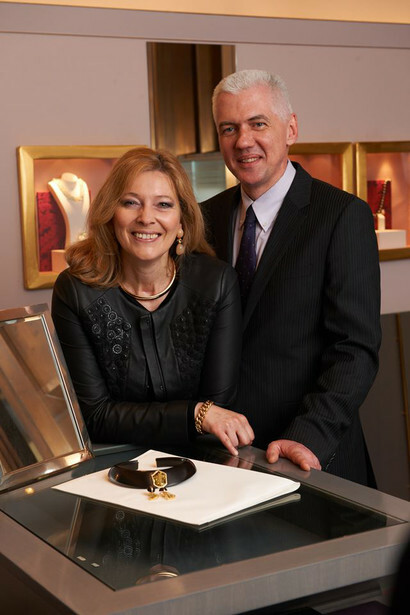 Karl Rothmüller, master goldsmith, gemologist, diamond expert and his wife Monika, the designer and business administrator, began leading the P. Rath company together located at Theatinerstrasse number 36.